In India, the most publicized land-movement was the Bhoodhan movement. In the 1950s and 60s, a disciple of Mahatma Gandhi, Vinobha Bhave walked across the country asking for land as gift. His strategy was to ask land-owning families to treat him as one of their own and give him one share of the land which can then be redistributed to the landless people. It took 14 years for him to walk across the country and collect a little more than 4 million acres of land. This was a very radical approach based on his philosophy of 'change of heart'. As the British Empire collapsed, USA expanded into parts of it. When the USA-UK decided in the 1960’s to install a massive military base on one of the Indian Ocean Islands making up Mauritius, that is to say, on the Island of Diego Garcia, in order to implement this decision, they committed a number of crimes. 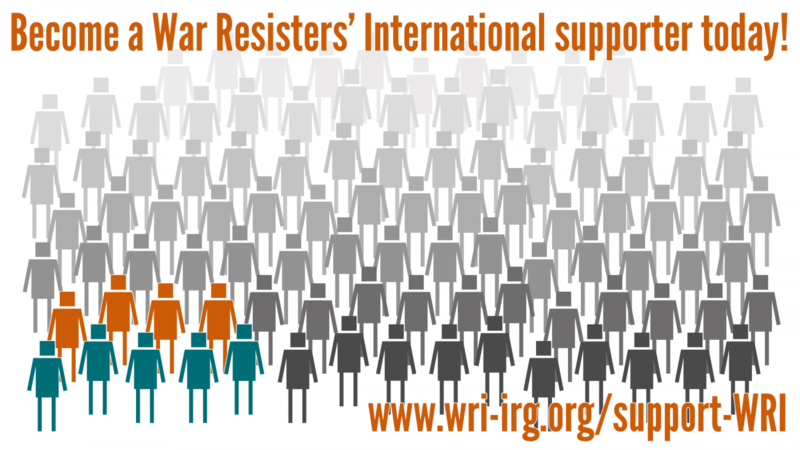 War Resisters' International is organising an international study conference on countering the militarisation of youth, in cooperation with German partner organisations and supported by the German teachers union (GEW). The conference will not just look at military recruitment and counter-recruitment actions, but will take a much broader view on the militarisation of youth, the creation of a culture and value system favourable to recruitment.